The Community Investment Coalition is a partnership of national organisations including financial providers, charities, trade associations and academic bodies. Local Trust delivers the Big Local programme with an investment of over £200m from the Big Lottery Fund. Big Local is happening in 150 communities across England over the next 15 years. It provides residents in each community with at least £1m and a range of other support and funding to develop ways of making their areas even better places to live. Access to affordable finance is emerging as an issue across a number of Big Local areas, both at the personal level and for people wanting to develop local enterprise.While personal debt is a difficult issue to discuss, many areas have decided to prioritise social investment as a way to address the problem. Some Big Local areas are planning to invest money into their local credit union or community development finance institution (CDFI) to increase the availability of affordable credit in the area. For further details about what Big Local areas are doing in this area, why not have a look at our case study titled – Credit, affordable finance and opportunities for social investment. the community investment sector to step up its scale and reach. The Community Investment Coalition is funded by contributions from its coalition partners and charitable donations. It has received funding from the Lankelly Chase Foundation and the Barrow Cadbury Trust. Big Local is administered by Local Trust using over £200m in funding from the Big Lottery Fund. It was launched in July 2010 to support 150 small urban and rural communities to come together to make their areas even better places to live. Local Trust, a company limited by guarantee with company number 07833396 and charity, number 1147511. Local Trust is the corporate trustee of Big Local Trust, a charitable trust with charity number 1145916 established by the Big Lottery Fund and Local Trust to fund Big Local. 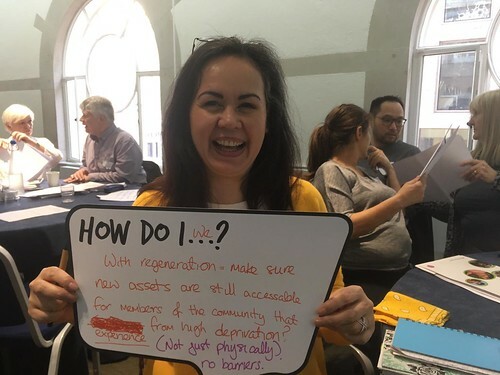 Local Trust works closely with Big Local areas and partner organisations to support residents to help them make best use of Big Local and their funding. The Community Investment Coalition is a partnership of national organisations, which aims to increase access to affordable finance for all communities. Membership includes the Community Development Foundation (CDF), the Centre of Responsible Credit (CfRC), the New Economics Foundation (nef), CCLA and the Community Development Finance Association (CDFA). Increased transparency and public accountability of financial service providers to support consumer choice and allow affective intervention in under served markets. Increasing diversity of the finance sector with a greater range of providers offering a wider range of fair and affordable products to all households, individuals, small and micro businesses and communities. Sustainable local economic growth with a greater share of locally generated income remaining within communities to drive economic growth.